Okra mosaic virus was first seen in okra plants in Africa, but there are now reports of it popping up in U.S. plants. This virus is still not common, but it is devastating to crops. If you grow okra, you are not likely to see it, which is good news since control methods are limited. What is Mosaic Virus of Okra? 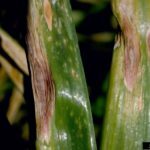 There is more than one type of mosaic virus, a viral disease that causes the leaves to develop a mottled, mosaic-like appearance. 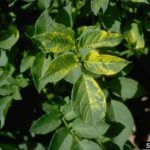 Strains with no known vectors have infected plants in Africa, but it is yellow vein mosaic virus that has been seen in U.S. crops in recent years. This virus is known to be transmitted by whiteflies. Okra with mosaic virus of this type first develops a mottled appearance on the leaves that is diffuse. As the plant grows, the leaves start to get interveinal yellow coloring. The okra fruit will develop yellow lines as they grow and become dwarfed and malformed. Can Mosaic Virus in Okra be Controlled? The bad news about the mosaic virus appearing in okra in North America is that control is difficult to impossible. Insecticides can be used to control whitefly populations, but once the disease has set in, there are no control measures that will work effectively. Any plants that have been found to be contaminated with the virus must be burned. If you grow okra, watch out for early signs of the mottling on leaves. If you do see what looks like it could be mosaic virus, contact your nearest university extension office for advice. It is not common to see this disease in the U.S., so confirmation is important. 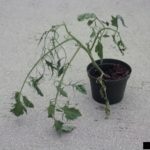 If it does turn out to be mosaic virus, you will need to destroy your plants as soon as possible as the only way to control the disease.